It is occasionally said that Eros was the son born from a relationship between the god Ares and Aphrodite, but more commonly it is said that Eros was the son of Aphrodite alone, who was born shortly after Aphrodite came into existence; for Aphrodite was born from the castrated member of Ouranos. ​After his birth, Eros was seen as a constant companion of his mother, Aphrodite, the Greek goddess of love and beauty, acting upon her orders. Though, Eros had his own title, for he was the Greek god of Unrequited Love. To this end Eros was equipped with a bow and arrows. Eros had two different sorts of arrows, golden ones which caused individuals to fall in love, and ones made of lead that caused indifference where love was concerned. ​Eros though was said to be mischievous, and acting as he saw fit, would cause individuals to fall in love, something which was said to cause gods and men no end of trouble. Eros today is commonly equated with the Roman god Cupid, and their mythology, and attributes were virtually identical, bar the fact that Eros was commonly depicted as a handsome youth, whilst Cupid was more of a child. ​Later, it was said there were many Eroses, or Erotes, including the likes of Anteros, the Greek god of Requited Love, Pothos, the Greek god of Passion and Himeros, the Greek god of Sexual Desire. Himeros is named by some as a twin brother to Eros, born to Aphrodite at the same time as Eros, shortly after Aphrodite herself came into existence; whilst Anteros was more commonly said to be a child of Aphrodite and Ares. In Greek mythology, Eros was rarely a central figure, although he was blamed by some as being the cause of Zeus’ numerous extra-marital liaisons, and likewise he is sometimes blamed for causing Ares to fall in love with Aphrodite, and Aphrodite with Adonis. The most famous tale of Eros is a later tale, and tells of Eros’ own love for Psyche. To punish the beautiful mortal princess Psyche, for rivalling Aphrodite in terms of beauty, the mother of Eros decided to have a son cause the princess to fall in love with a hideous monster. When, however, Eros went to undertake Aphrodite’s orders, he himself fell in love with Psyche. 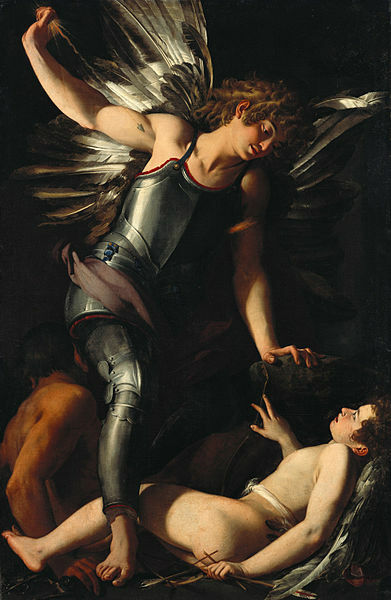 Fearing the consequences of disobeying his mother, Eros would have Psyche whisked away to a divine palace, but Eros never revealed his identity to Psyche, for the pair only came together in the pitch black of night. ​Psyche though sought to find out the identity of her lover, and one night lit a lamp, Eros being discovered fled in fright, and thereafter, Psyche searched the lands looking for him. Aphrodite would seek to punish Psyche for becoming her son’s lover, but in every task given to her by the goddess, Eros would secretly aid his mortal lover. 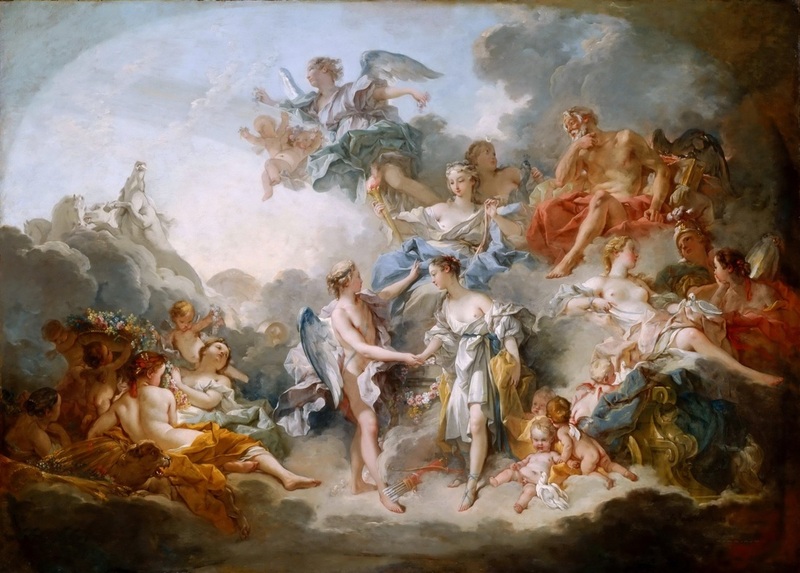 In the end, Eros went to Zeus to help him, and to this end Psyche was made a goddess, the Greek goddess of the soul, and following this, Eros and Psyche were wed, and the anger from Aphrodite to Psyche was placated. The marriage of Eros and Psyche was said occasionally to have brought forth one child, a daughter Hedone, who was the minor goddess of pleasure and enjoyment. ​Aside from tales of love, Eros also appears in the mythology of the sign of the zodiac named Pisces. A revolt against the rule of Zeus occurred when Typhon and Echidna decided to storm Mount Olympus. The advance of the monstrous Typhon saw the gods flee, most of whom, travelled to the safety of Egypt. It was in Syria that Aphrodite and Eros encountered the advancing Typhon, and to get to safety, the pair of Greek deities transformed themselves into two fish, and dived into the River Euphrates, and swam to safety. This pair of fish was later immortalised in the heavens as Pisces.